I love a good Life Hack, and I love going to Disney World. 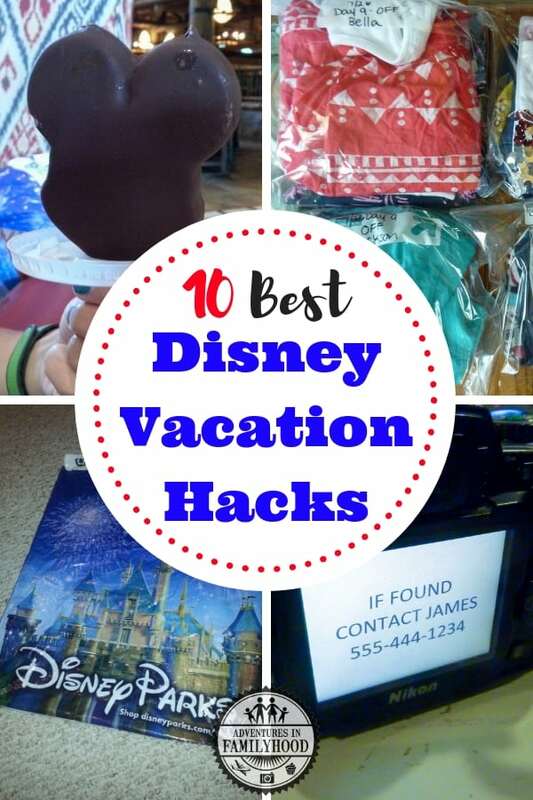 So I went searching for some Life Hacks that could prove useful on our Disney Vacations. Here are the best life hacks I found for your Disney vacation. They are the best because they actually work. These days, every tip or piece of advice someone gives is called a “hack”. It’s trendy, and it’s annoying. For our purposes, we’ll say that life hacks are ways to deal with a problem by using something that wasn’t designed for that purpose. There are tons of these online, but I’ve found very few of them work. 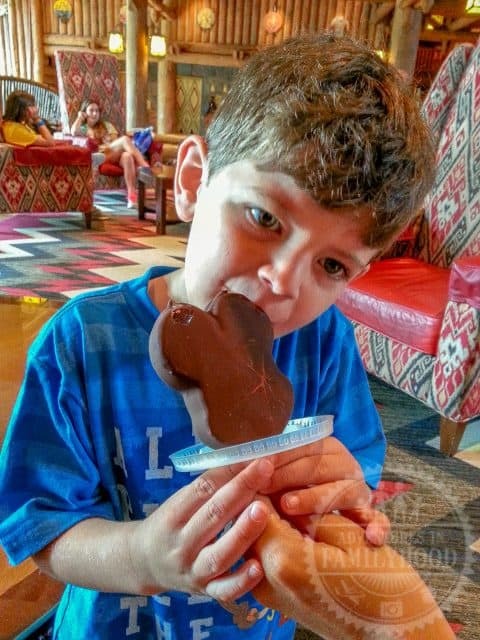 Mickey Premium Ice Cream Bars are one of the most popular snacks to enjoy at Disney World. They’re refreshing. They’re shaped like Mickey. And they’re very messy, especially in the Florida heat. The problem is that they “drip.” Drops of ice cream and sometimes whole chunks of Mickey Bar can fall and make a mess. Our hack to fix this was to catch the drips with something. 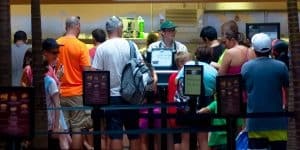 Soda lids worked but Disney has now cut back on plastic in the parks. So what else can you use? Cupcake liners work well, but you’d have to bring them. Instead, try making one from a park map or your times guide. These are literally everywhere in the park. And someone in your group will have one in their pocket. Just grab a new one after. Staying hydrated is important on a Disney vacation. Having an ice cold drink to enjoy is also refreshing. Buying several cold bottles of water per person throughout the day is expensive. We’re big fans of bringing our own water to the parks. And we keep it cold and ready to drink by freezing our half-filled bottled overnight, on its side. Then, you have large ice cube with room to pour water into the bottle. Instant cold, refreshing water as long as your ice lasts. And with Disney parks banning loose ice from your coolers. The half frozen bottles can serve as ice packs. At least, until you get into the parks and can ask for a free cup of ice. Typically, water and electronics don’t mix. I’ve always got my phone with me at the park. And I usually have one or two cameras, as well. To protect my tech from downpours or attractions that get you wet, I carry plastic storage bags. 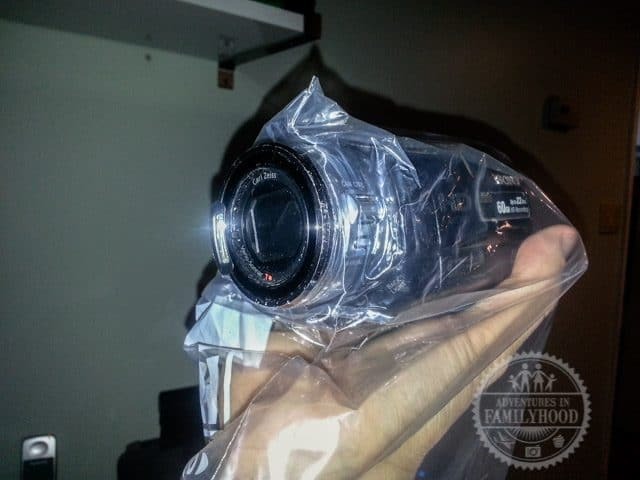 With my old Sony Handycam, I even protected it while using it by punching a small hole in the bag and stretching the opening to fit around the lens. Plastic storage bags are also great for keeping wet things from making the rest of your stuff wet. Use them for storing your wipes, snacks, or wet clothes. Maybe I’m getting old, but I always lose something at Disney World. Sunglasses, hats, my camera… one time, we even lost Jackson for a few minutes at Disney Springs. where you parked your car – sometimes committing it to memory is just not good enough! Your name, address, and phone number. Write this down and then snap a pic. Now it’s on your phone and in your camera should those items become lost. Make it your lock screen on your phone so someone can contact you if they find it. Packing for your Disney trip can be a chore. Keeping all the clothes organized during the trip can be a pain. Storage bags can help with this too! Our sanity saving solution has been using larger storage bags to organize the kids’ outfits by day for the whole trip. You can even label them with a sharpie to note which day they should wear each. Then each morning of the trip, it is a snap to grab that day’s bag and get the kids dressed! After each day, the bags can be used to store wet clothes/bathing suits, or saved to be used again! We’ve been bringing our kids to Disney since they were babies. And at one time or another, each of them was terrified of the flushing toilet. At least at home they had a measure of control over when it would flush. But at Disney, the toilets all automatically flush, sometimes when you least expect it. And they’re louder than average! The solution is to block the sensor that triggers the flush. Post-Its work great for this, and you might consider carrying them everywhere when you have a child going through this phase. In a pinch, use toilet paper or paper towel. It will stick if you wet it a little. From toilets to toiletries… What about all those little travel items we bring with us and fill up the bathroom counter with in our hotel room? With four of us using the same sink, it gets out of control quick! A solution that works for us is bringing an over-the-door shoe organizer and putting our toiletries and accessories in the pockets. Unlike you car, your stroller will often not be exactly where you parked it. This is because Disney is constantly re-arranging the stroller-parking areas and moving strollers around to make room for more. And, if you have inadvertently parked your stroller somewhere you shouldn’t have, they may even move it to the nearest stroller parking area. So, how do you locate your stroller quickly when you come out of an attraction? The solution is to make your stroller stand out! After all, it’s quite possible there will be plenty of others that look exactly like yours. Tie some brightly colored ribbon to the handles. Wrap handles in bright tape. Attach balloon to your stroller. My Disney Experience is a useful tool for planning your vacation. And the My Disney Experience app is great for keeping track and changing those plans while your at the parks. The problem is that Disney’s WiFi is not that great, and constantly checking your phone can really be a drain on the battery. The fix for this is to screenshot your FastPass+ and Dining Reservation times and set that as your lock screen or phone’ background image. This way, you don’t have to open the app and wait for a connection. This saves you time and precious battery life. We love to collect pressed pennies. Every trip, I scrounge up my loose pennies and quarters and stick them in bag or small container so I can bring them to the park. They would end up all over the bottom of a pocket in my backpack. Thankfully, there’s a better way. Use these mini M&M containers to not just carry your coins, but to organize them. When you load your quarters and pennies into the containers, stack them: 2 quarters, 1 penny, 2 quarters, 1 penny, and so on. Then, when you hit that pressed penny machine, grab your tube, pop it open, and slide out the exact number of coins you need! *bonus hack. Got a penny that isn’t as shiny as you’d like. Ketchup will shine that penny right up. Ketchup can be gotten for free at any counter service restaurant. That a few napkins will help get your penny shiny again! 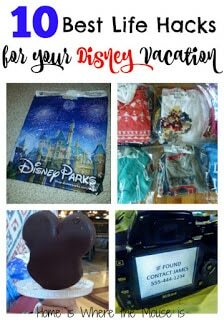 What are your favorite Disney Vacation Life Hacks? Please let us know by leaving a comment, especially if we don’t have it on our list!! 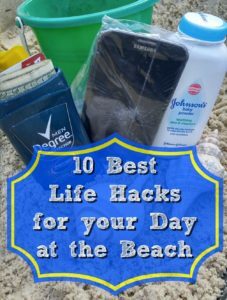 And be sure to check out our 10 Best Life Hacks for your Day at the Beach! These were great James! 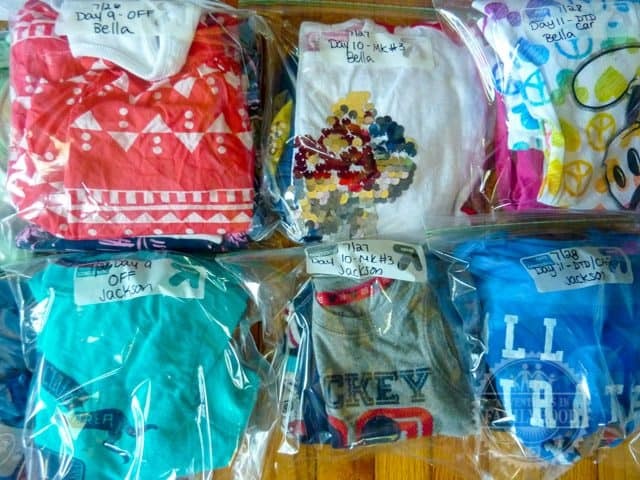 I have always done the zip lock for the kids clothes each day. It is such a time saver AND makes packing for the park a breeze. I always had one bag with a change of clothes for Emily when she was young and I would just toss it and go! I don't know if this counts as a hack, but another one I have done is pack five or six clothes pins and use them to make a sun /shade cover over the stroller. You can use a towel from your resort or bring a light receiving blanket, use a sweater and just clip the sides of the stroller and away you go! To add to the last hack… Take a towel and dip in ice bath or sink. Soak and wring out. Put in ziplock Baggie of ice. Then when it gets hot, you can pin it to the stroller for shade and keep baby cool. You can also do this for adults and older kids. As they get warm, ask for ice and refill ziplock. 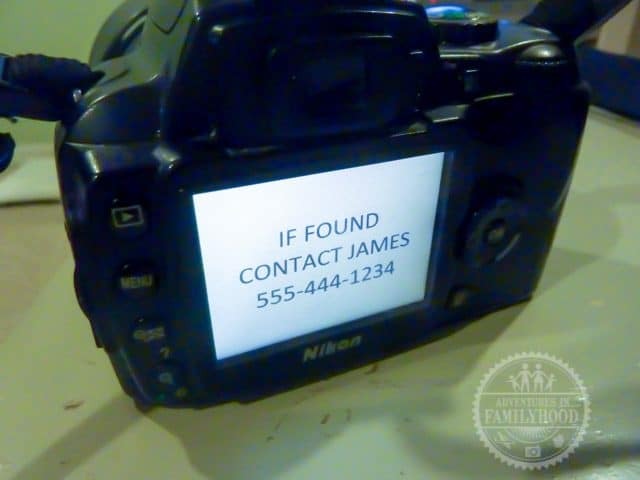 Great hacks here, James! Some are tried & true, while others were brand new to me. They're all worth trying out during my next trip! Drink lid to catch drips? Water bottle frozen on its side? Genius!! Thank you, Beth! It really is a time-saver when you're getting up to head out to the parks! Wonderful tips – some I've done, others were new to me & I plan on using them – especially loved the shoe organizer to hold your toiletries. It always seems that the counter gets cluttered with all of this stuff, it will definitely help with organization! Thanks so much. Thanks! We first heard about that tip for our cruise, and it makes sense to use it at resorts as well! LOL! Yeah, that can be an unexpected surprise when you're not ready for it! As our littlest starts potty training, post-its will become something I carry around all the time! we used to live 8 miles from Disneyland, so we were always there…all of our kids had their own drawstring backpack. that way mom NEVER had to carry their stuff. they had their own chapstick, sunscreen, water, snack…whatever they wanted. I loved that I wasn't always digging through MY pack for their stuff!! That must have been awesome to live so close! I wish we were closer so we could go more often! And I also look forward to trips when the kids can carry their own things and I won't have to carry as much! This was a great post. Very insightful. Will definitely be using some of these life hacks in the future. However, I should just point out that if you really want to make life easy in the parks, take a huge ziplock bag for your bag while at any park, Disney or otherwise. 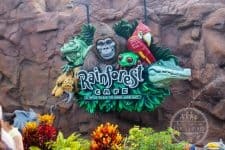 The ziplock saved my husband and I from having to pay in Universal Studios (both Florida and California) for a locker while going on Jurassic Park. Also, make sure you take a bag made out of quick drying martial. Thank you so much for these tips! 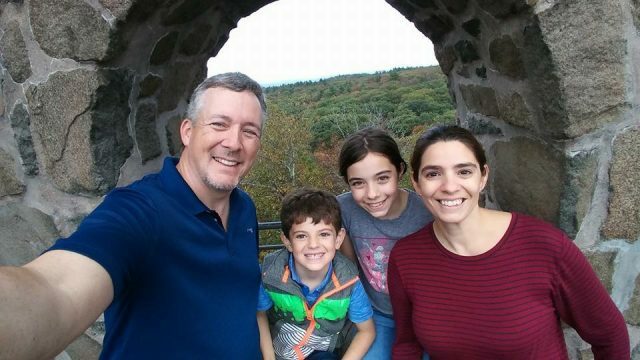 We're headed to Disney World in 3 weeks with our 4 kiddos! I especially liked the idea of the cup lid to control the mess of an ice cream bar! No problem, Joanne! I hope they are useful!! That Mickey bar trick is really cool. You can even double up on the lids for extra support if a big piece falls on to it! Thanks for reading, and have a great trip!! 1: bring along a hanger clip. (You know what pants clip from)). They fit perfectly on the stroller bar and come in handy for bags, wet sweatshirts, etc. 2: critter country is empty after fantastic. You can get right on Splash or Haunted mansion. 3: ride mr toads wild ride after splash…. It will dry your clothes. 4: don't leave right after fireworks. Crowds are overflowing. Thanks, Kellie! Some good tips for sure, though I think only the first qualifies as a "lifehack". I've been keeping an eye out for more hacks to add to this list or to write a "part 2". The hanger clip can be used in a lot of ways! I use hanger clips when we go to the beach so our suits can dry better. I’m going to bring some shower curtain hooks to Disney so they don’t take up so much room. If you’re driving to a park area; bring an expanding shower rod. You can add it to the shower or between the walls in the sink area to hand things to dry over night. Sometimes I pack a a hanging shoe bag (the kind that hangs in the closet with cubbies)(not the over the door pocket kind) so everyone can put their shoes in it at night that way you’re not tripping on all the shoes when in the hotel room. Those take up very little space in a suitcase as well. You can also bring one (or a hanging sweater cubby) to hold other things like snacks and you refillable water bottles. Anything to keep the space in your hotel rooms looking organized will help you feel relaxed when you come back to the room. You're welcome!! So glad you had a great time! Fantastic! I haven't seen a few of these, so I'll be making a few adjustments as we prepare for our trip in January. By the way – the water bottle on its side? From a girl who lived through some hurricane seasons, it's a great way to see if you've lost power while you're out of town. 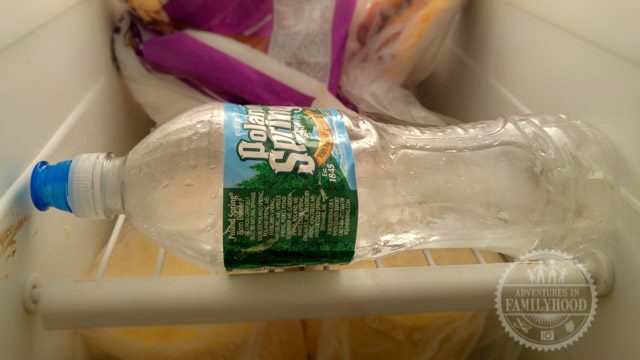 Freeze the bottle on its side, and then turn it right side up in your freezer when you leave town. When you come back, check the bottle. You'll be able to check to see if you've lost power by checking for water (that may have refrozen) on the bottom. That’s a great life hack. Because about the last 2-3 vacations we have been on we have lost power. Only to find out from my neighbor once we return a couple days later. Theses are great! I am glad I ran across this. We are leaving for Florida in two months and the Ziploc bag idea for the clothes is genius! My the suitcases and drawers are always a mess by the second day of vacation and we always end up with miss matched clothes my the end lol! This is perfect! Great ideas! 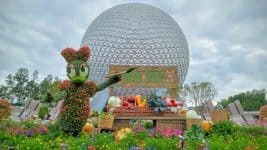 We usually drive to WDW and will bring a pop up hamper. It stores flat when traveling but allows up a dedicated space to put laundry in once we're in our hotel room. We usually stay at a value and the rooms can be tight so this helps save drawer space! Our laundry would always end up in the closet or in a suitcase! A pop-up hamper is a great idea. We just took a road trip and ended up taking some extra large storage bags for laundry. They also helped split up our smaller clothes bags by destination. One of my favorite hacks is to bring a cheap dollar store shower curtain and some heavy duty clips. (We used the black metal binder clips you find in the office supplies) Since Florida is known for its nearly constant rain odds are you will get caught in a downpour once or twice. The shower curtain can clip onto your stroller and keep it dry and is easily repositioned so that your child can still see. As a bonus it's so big you can sometime cover your stroller and the persons next to yours if you have to park it somewhere. That’s an interesting one! 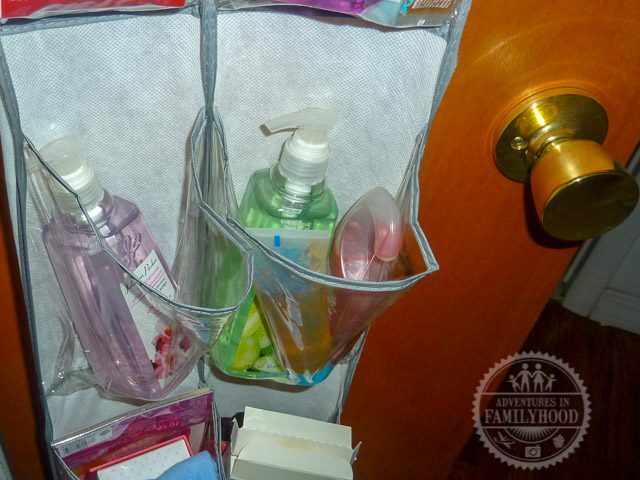 the dollar store shower curtain made our list of hacks for going to the beach. We might have to add it to our next installment of hacks for the park! Thanks! We take a pop-up hamper from the dollar store for damp clothes after the parks. Allows them to dry without mildewing. I also use the mesh "lingerie" bags (3 for $1 @ the dollar store) instead of ziplocks for outfit organizing. They pack better, no air bubbles, and are also usable for so many other things. we’ll have to check out those mesh bags. Thanks! All the parks have cold water fountains that are also filtered water. You’ll know them because they are attached to big stainless steel coolers. Otherwise you are getting plain tap water. I wish the parks would get the water fountains that have the bottle filling option. We have those at work and I saw them at a zoo recently. It really makes it easier. One caution about using the parks bags as cushions – the blue ink tends to rub off on clothing, so if you are going to sit on the bag I would suggest turning it inside out. Also, be careful how you carry the bag if you are wearing white or another light color. We’ve been fortunate to not have any issues with this, but still a great precaution to take! Thanks for pointing that out! Some of these are great ideas, but I don’t recommend taking leftovers from a buffet. I’m from Vegas, so I know all about buffets. When you take food from a buffet, that’s called stealing and it’s frowned upon. Thanks for pointing that out. I certainly didn’t intend to promote stealing food. When I wrote this, a particular instance when we ate at the Crystal Palace (a character buffet) came to mind where the waitress asked if we wanted to take our daughter’s unfinished breakfast with us. Ziploc bags would have been useful for that moment. We’ve been using the Zip-Loc bags for years! When my daughter was little we also included any hair ties, barrettes, etc. The plastic bags slide against one another to keep them from wrinkling! We even pack our own clothes like this. Thanks for the hacks! A few we shall try out during our December trip! Ziploc bags really are a life saver! Hope some of these hacks help you out! Enjoy your trip. I liked the idea of keeping your coins in the candy container. I used to roll the coins (paper rollers from the bank) until I kept getting pulled aside at airport x Ray. The inspector stated they couldn’t tell what they were and suggested a zip lock! It definitely makes it easier when it comes time to get the coins out for the machines. The M&M containers do occasionally open up on their own. So I try to keep them in their own pocket of my backpack, or inside a ziploc bag if it’s in my luggage. 1. A roll of patterned gaffer tape. We went through a whole roll in 2 weeks. Put it on all bags to identify them with. Put it on stroller handles and foot rest. Used to tape car booster seats together. My brother used it to tape a plastic bag over his hand when he had cut his finger but wanted to swim in to pool. Seriously the uses went on and on. 2. Water bottles with carbon filters meant we could refill with water anywhere and feel safe. 3. Food bag clips. Came in handy for resealing large bags of crisps, sweets, fresh food. I honestly hadn’t thought of using the Disney stickers. Thanks for the idea! 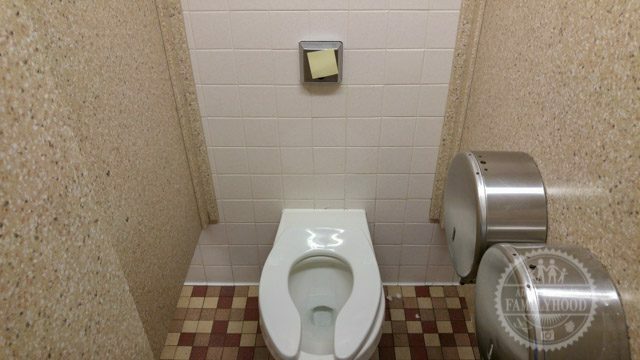 I carry stick notes to cover the sensor, it doesn’t leave a residue. Love these hacks! This is the best list I’ve found. I am dying to try shining up a penny with ketchup, lol! I use Ziploc bags for taking home our wet swimsuits since we often hot the pool on our last day at Disney. Thanks! There was one time that we hit the pool before flying home and all our wet clothes went into a shopping bag and then into my carry on. Well, hours later security wanted to take a peek in my carry on at the airport. I tried to warn the guy when he pulled the shopping bag out… he got a whiff of some hot, wet clothes! This one’s not a Disney hack, but if you ever let your kids play with sparklers around 4th of July time, puncture a small hole in the bottom of a plastic solo cup. Put the cup over the child’s hand to protect them from burns and insert the sparkler into the hole. They can wave that thing around to their hearts content, and no more burns on their little hands. I have a hack for you. When I take small children to an amusement park, I always pack a sharpie. I then write my relationship to the child and my phone number on their tummies with the sharpie. Then should my child become lost, anyone who finds the child, can call me! Also, should the unthinkable happen and someone tries to take my child, I can inform the employees at the exit, to look at the tummy, as they will not be able to get that phone number off of the child. Wow lots of really good hacks for your Disney Vacation ! Some really helpful tips to help save money. I use my prescription bottles to hold the 2 quarters then a penny. I decorate the bottle with Disney tape and it’s perfect. Plus I can take only a few bottle at a time. I love the M&M ones but if you don’t have those the pill bottle work perfectly.